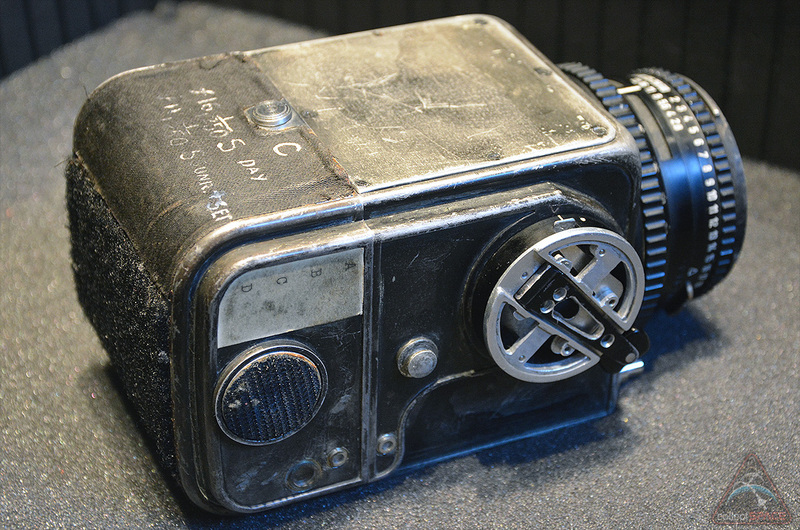 — A more than 50-year-old space-flown camera with connections to two of the original Mercury 7 astronauts is hitting the auction block in Boston. RR Auction of Massachusetts has scheduled Nov. 13 for its special live sale of the Hasselblad 500C camera, which includes components used aboard the fifth and sixth U.S. space flights in 1962 and 1963. 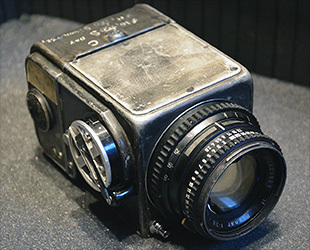 As the first Hasselblad to be flown into space, the camera led to NASA adopting the Swedish brand's equipment for the lunar landings later that decade. 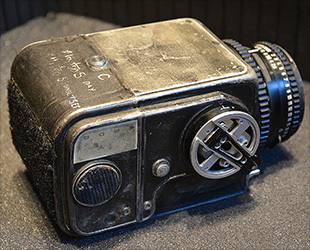 "This camera's body has been photo confirmed as having been carried into orbit on Wally Schirra's Mercury-Atlas 8 mission and attested to by Gordon Cooper as being used during Mercury-Atlas 9," the one-lot auction catalog reads. 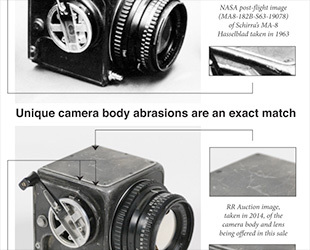 "Forensic examination of official NASA [photos] confirms this Hasselblad camera body as the one Schirra carried on MA-8." 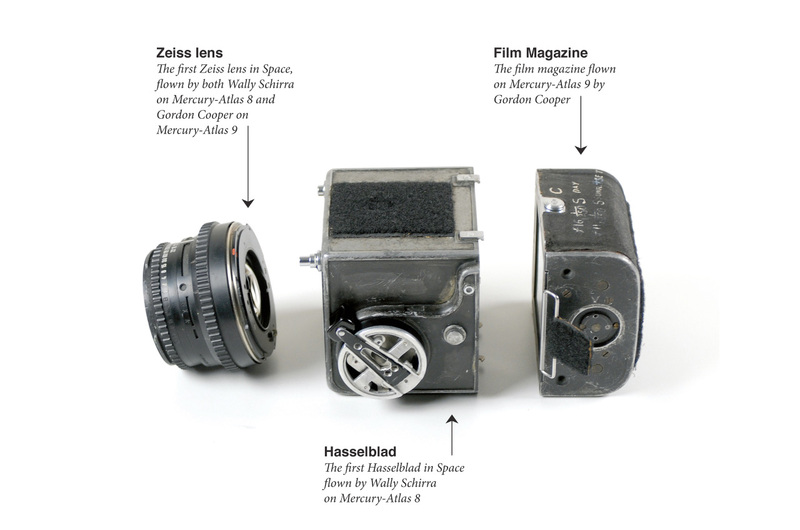 Included with the body is a Zeiss lens that RR describes as having flown on both Schirra's and Cooper's flights, as well a film magazine that entered space with Cooper. Schirra orbited the Earth six times on the Mercury capsule "Sigma 7" on Oct. 3, 1962. Cooper followed aboard "Faith 7," circling the Earth 22 times from May 15-16, 1963. The two missions closed out the U.S.'s first human spaceflight program. RR Auction plans to open bidding on the Hasselblad 500C camera at $10,000. "We have a very conservative pre-auction [sale] estimate of $50,000 to $100,000, but we expect it to exceed that," Bobby Livingston, executive vice president of RR Auction, told collectSPACE. "The artifact is so one-of-a-kind, and it represents such a major part of space history that it's very difficult to put a value on it." "We expect it to exceed our expectations," he said. The camera may be special for another reason: Schirra is said to have bought it himself. "[More than fifty] years ago, a still unknown Walter Schirra entered a Houston photo supply shop and purchased a Hasselblad 500C," Hasselblad USA states on its website. "Thinking to take his new purchase up on a space shot with him, Schirra stripped the leatherette from the body of the Hasselblad and painted its metal surface black in order to minimize reflections. And when he climbed aboard an [Atlas] rocket in October 1962, he took his Hasselblad with him." 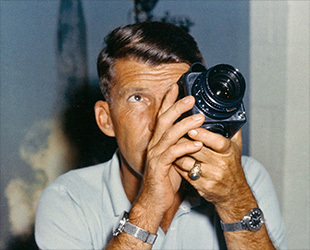 Schirra, who died in 2007, told a NASA interviewer in 1998 that he "got the Hasselblad" after consulting with LIFE and National Geographic magazine photographers about what model camera they would recommend. The modifications to the camera, Schirra said, were made by a laboratory at Cape Canaveral. If Schirra did indeed buy the camera himself, it wouldn't be without precedent. 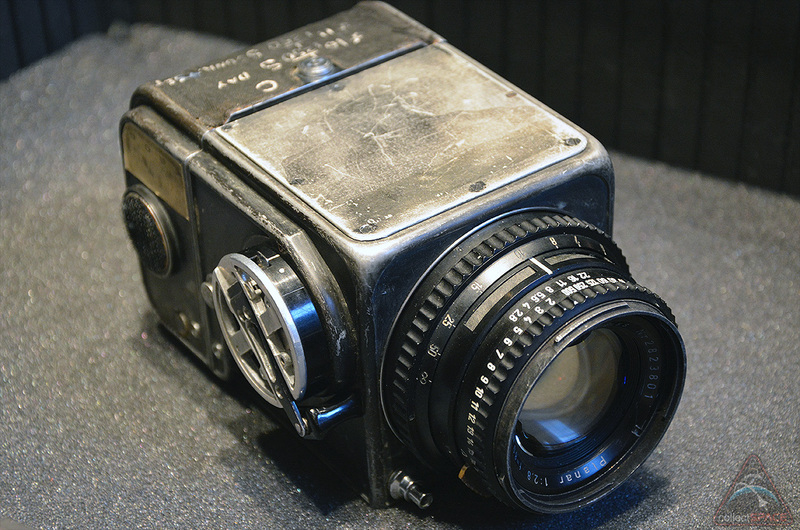 Fellow Mercury astronaut John Glenn not only became the first American in Earth orbit, but also the first person to use a handheld camera in space — a 35mm Ansco that he bought at a local drugstore. But because of that experience, NASA took a more active role in planning for its astronauts' photography needs. So while there is no particular reason to doubt Schirra's story, there is also no evidence, other than anecdotal, to support him having purchased it himself. For its part, RR is making no claims about who purchased the camera. Whether or not Schirra once owned it, the camera ended up in Cooper's possession. RR's sale includes two letters signed by Cooper prior to his death in 2004 attesting to the camera having been used by him. Also included are two rare equipment inventories that note the inclusion of a Hasselblad 500C on Faith 7 as "flown on MA-8." RR Auction however, is only stating the camera body was flown on Schirra's mission. 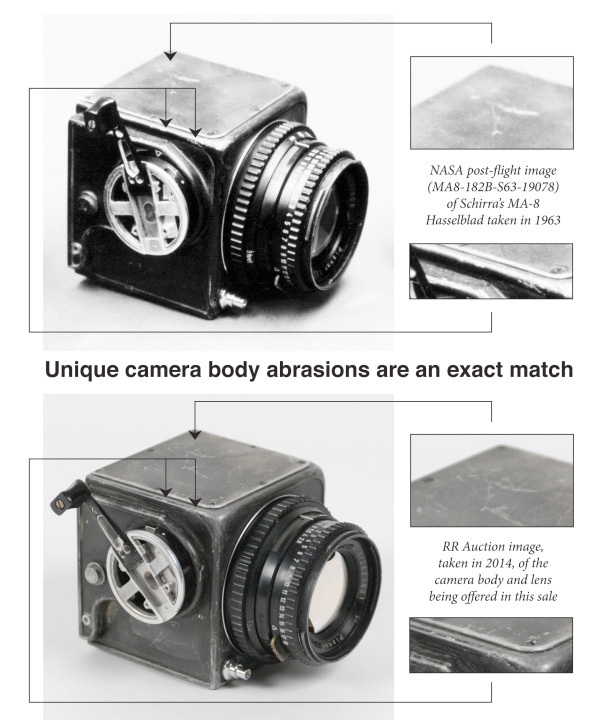 In researching the camera and comparing archival post-flight photos of the cameras that flew on both missions, the auction house's experts have only been able to match the scratches, scuffs, and other identifying marks on the camera body to the one flown on the earlier flight. 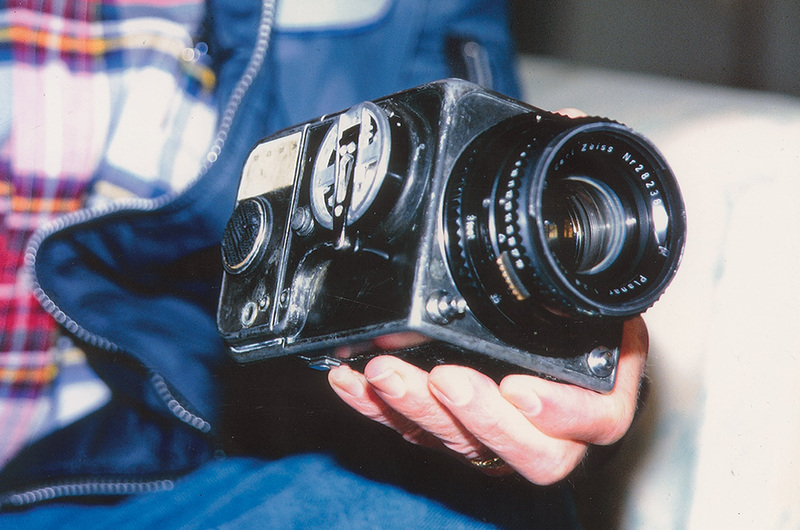 "The mission report for Cooper's flight states a number of times that there was one Hasselblad used on both of the Mercury flights, MA-8 and MA-9," Jennifer Levasseur, the Smithsonian's curator for human spaceflight cameras, told collectSPACE. "So, if a single camera was used it would make me wonder why there are pictures that do not really support that. Why are the photographs of the camera body for MA-8 different than MA-9 if they were supposed to be the same camera?" In 1994, a now-defunct auction house offered a different camera for sale, which it claimed was Schirra's from MA-8. The photographs of that sale's camera however, seem to only match with the physical marks photo documented on Cooper's camera body after MA-9. The implication is that at some point, Schirra and Cooper must have switched camera bodies relative to what flew on their respective missions. RR Auction avoids this topic as well, focusing only on what is known about the artifact they are selling. 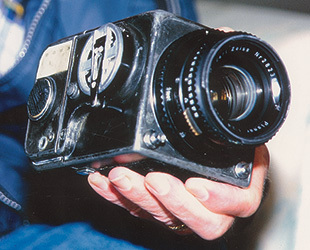 What is known about the first Hasselblad camera flown in space is its historical significance, regardless if it flew on one or both Mercury missions. 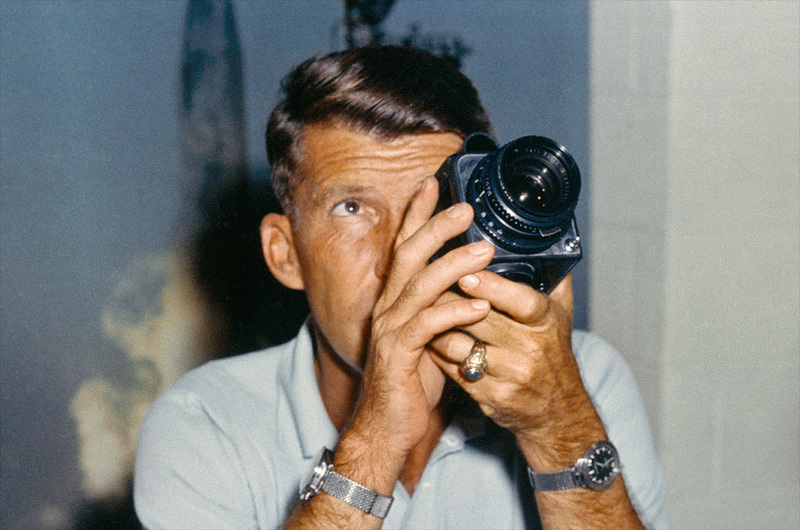 "Documentation may be a little unclear about how many Hasselblads flew during the Mercury program, but if there was one or there was two, because of the lengthy history that Hasselblad went on to have with NASA, this camera could potentially be the origin of that relationship," stated Levasseur. "If this is indeed the first or second Hasselblad camera in space, it makes it historically significant and potentially of great interest, not just to the space history community but also to communities of collectors," Levasseur said. "Many of the most iconic images we can think of that were taken in space were taken using Hasselblad cameras, so it has become something of an iconic camera because it took all these iconic photos." Although most, if not all the photos taken by Schirra and Cooper have been eclipsed by the images that came after them in space, they still represent some of the first views of the Earth as captured by a professional camera. "We got some good pictures," Schirra once commented. "I think I could have taken better pictures but I was too busy doing other things. And Gordo, up there for over a day, got some absolutely gorgeous pictures with the Hasselblad he flew." 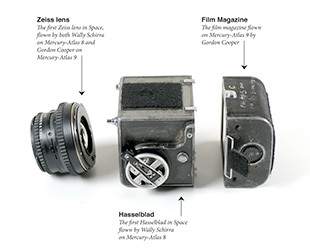 For more details or to bid, see RR Auction's special "First Hasselblad in Space" online catalog.